My name is Julian Baggett and I am very honoured to be Mudgee Public Schools 2018 Boy School Captain. it's my job to teach him the rules that we go by at Mudgee Public School. Union, Swimming, Cross-Country and Cricket. I have been lucky enough to be SRC representative two times and House Vice-Captain for ‘Gladstone’. 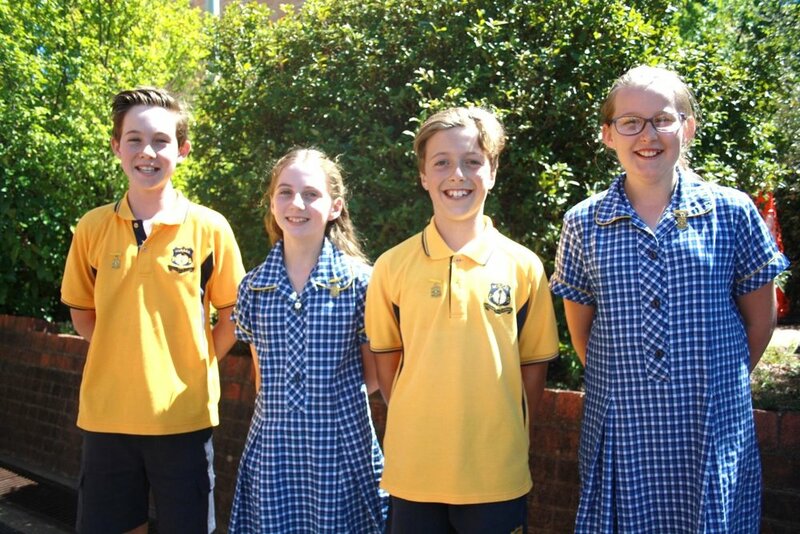 At Mudgee Public School we have what we call the Four Bees. They are the rules of the school. And include: Bee Respectful, Bee Responsible, Bee an Active Learner and Bee Safe. I have followed these since Kindergarten. I thank the Staff of Mudgee Public School, my peers and my family for making me what I am today! This year is going to be the best year I have had for a long time. I’m going to lead by example as the 2018, Boy School Captain and look forward to the responsibility given to me. My name is Miriam Halbisch and I am very grateful to be your 2018 school captain. morning tea and lots of amazing excursions! The teachers have always supported me and helped me with my work. I look eagerly toward being girl school captain for 2018! My name is Wil Treeve and I am extremely grateful to be the 2018 School Vice Captain. Mudgee Public School has been my favourite school, because it is full of amazing opportunities and people; Including my buddy, who helped me through kindergarten and led me to be who I am today. that leads to now, School Vice Captain. My name is Breanna-Rose Conley and I’m extremely honoured to be Mudgee Public School Vice-captain for 2018. I have been in this school since kindergarten. I got on well with my buddy and she guided me through my first year. I will do the same for my buddy. I help whoever I can whenever I can. I love nature and setting a good example. support and encourage all students. look forward to the year ahead. 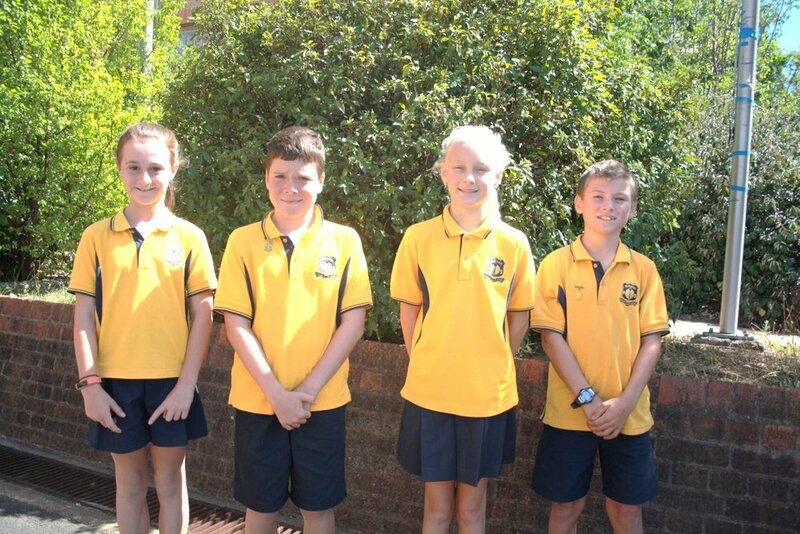 On Sunday 11th March, our school leaders travelled to Sydney for the annual Young Leaders Day. Our students heard presentations from speakers such as John Coutis and Harrison Craig about what it means to be a leader and how they can contribute to their school community. Thank you to Mr McDonnell, Mrs Baddock and Mrs Roberts who accompanied our students to Sydney. On Friday the 24th of August students all dressed up as farmers and the SRC held a cakestall to help raise money for the 200 bales project. We raised $1800 altogether.